This is the first in a series of blogs that explores the forthcoming changes that ubiquitous 3D touch or Force touch technology will bring to mobile and the Enterprise. 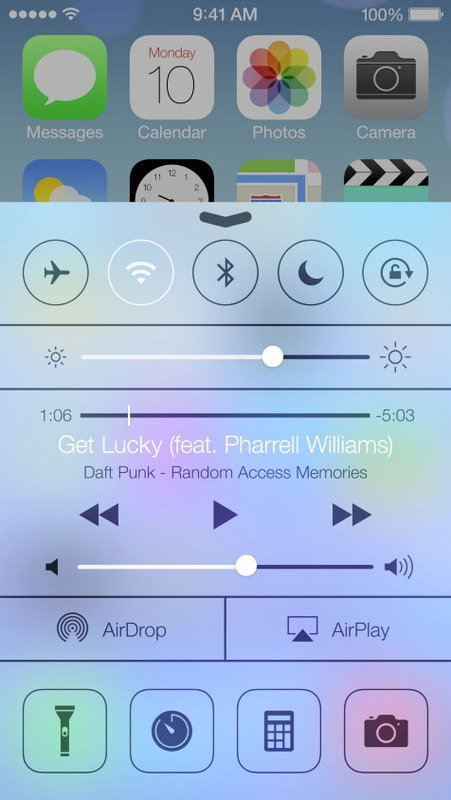 To start with, we’ll look at 3D Touch in the context of previous OS changes and Nested Design. Great design is what drives users towards apps. It keeps them using them, and this is often the biggest oversight of Enterprise app development. When the main concern is functionality, usability is too often lumped in with decoration. Solving a problem is often easy in theory. Getting people to implement the solution, when the old way of doing things is still around, is difficult. This affects Enterprise Apps more so than consumer apps, because so many Enterprise apps exist as a portable extension of some desktop or web-based service. Touch is still the major differentiator between desktop or web design and true mobile design. It’s what made mobile. 3D Touch is going to change much of what can be done to provide a version of legacy systems that people may actually want to use. However, iOS itself has long been designed to one day reap the benefit of a technology like 3D Touch. The form of a mobile device is a limiting thing in itself. With screen sizes from 3” to 6”, a phone can only show you so much information at once. Multitouch has sought to overcome this in the past, with gestures. However there are only so many gestures that the human hand can comfortably perform, and only so many that we can easily remember. They have to be hard-wired at an operating system level, too- it’s no good to have new gestures and custom squiggles of the fingers for each and every app. Usability in mobile is all about a ratio between simplicity and productivity; the interaction must be simple, the outcome nuanced and productive. Before Apple introduced 3D Touch, they were hard at work introducing the foundations into the operating system. In the aftermath of the relatively quick extinction of gradients, Flat design is something we’re starting to take for granted. Clean blocks of pastel colours and a few icon changes heralded a new design paradigm, but the precursor to 3D Touch went by almost unnoticed. Flat design made possible an effect which we’ve come to think of as the ‘layered’ nature of iOS 7. The best example is the settings widget board, which can be pulled up from the bottom of the screen. Animating out and covering whichever window was open, the box was translucent, appearing to sit above the operating system itself. Press the home button, and the ‘springboard’ didn’t zoom up and over- instead the open app sank back and shrank, appearing as though it was infact sucked back into the operating system itself. This is layered design; literally designing a user interface in layers, in a new and mobile way. Because the operating system has already been set up for it, iOS can now overcome its long standing productivity problem. Touch 3D is two solutions; first, it’s a solution to the long standing right-click problem on mobile. The right-click problem essentially means there isn’t an easy way to navigate laterally or move between options in the same way that right clicking on a desktop will allow you to perform different actions or access an extra menu. Something as simple as this is a tremendous headache when it comes to editing, selection and moving between functions of an app. Think of the gymnastics involved in fully editing a spreadsheet on a touch-screen phone. Second, it’s a new means of navigating depth. Because iOS is designed in layers now, it is animated in a way that gives a sense of depth. We’re limited in how we can orientate a screen as users, in terms of sheer real-estate, mobile has to give us the option of going in and out, rather than just scrolling up and down or side to side. Enterprise mobile is often a case of inputting or comprehending data. 3D touch gives us new ways of being able to enter, copy, paste or edit the data. It also gives a new, more intuitive way to create apps that follow Shneiderman’s golden rules of design, a way of peeking and popping deep down into the information we need.